Tuck Pointing, Brick and Chimney Repair Toronto | Turnbull Masonry Ltd > Blog > Blog > What Are The Limitations Of Toronto Masonry Restoration? 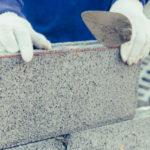 Our clients often ask how much damage Toronto masonry restoration can really fix, and how to know when masonry work requires a complete rebuild. It’s almost always more cost effective to restore a building as opposed to tearing it down and rebuilding from scratch. Yet, sometimes masonry repairs are not cost effective because damage is too severe. That being said, masonry restorations are capable of transforming some pretty beat up walls and structures. When we say ‘masonry’ we mean any material such as concrete blocks, stone or bricks bonded together with mortar. A mason is responsible for creating structures with a focus on building codes and longevity, as well as the ability to stand up to local Toronto weather. Still, even the best masonry work eventually requires restoration. Snow, rain, floods and salts are several key contributors to the breaking down of masonry. 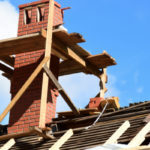 The sooner you take care of damages as well as natural wear and tear, the more likely basic repairs and restoration techniques will sufficiently solve the problem. Repointing is a very common form of masonry restoration, although it takes skill and careful work in order to successfully complete. Repointing is the process of removing old mortar and replacing it with new mortar. The new mortar must match in color, content and strength or else it threatens the stability of the structure. The mason hired for the job must know how to match original mortar as well as repointing techniques. 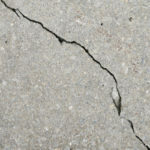 If too much mortar is removed during the process and the area is only partially filled, the wall becomes more susceptible to water damage and faulty joints. 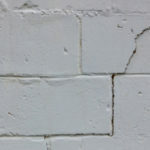 There are numerous things that can wrong if the proper repointing techniques are not adhered. As a result, you could end up with a much bigger issue on your hands that may or may not be fixable with further masonry restoration. If you hire the cheapest contractor in town to repoint your masonry structure a number of things may go wrong. As a result, the building is at risk for becoming damaged past the point of repairs. That is why it’s so important to hire a reputable masonry company with a longstanding history of quality work in your area. If movement is severe the entire structure may become unstable and unsafe. Depending on the extent of the problem there may or may not be restoration techniques available to fix it. Only in the most severe cases, an entire rebuild is necessary. This is generally the case after a disaster of some sort, or years of ignoring an increasingly worsening problem. Spalling brickwork, or rather bricks falling out of place, could signal signs of serious structural issues. That’s not to say spalling bricks cannot be fixed with masonry restorations, in fact often times they are. Colder climates, such as Toronto, are more susceptible to spalling. 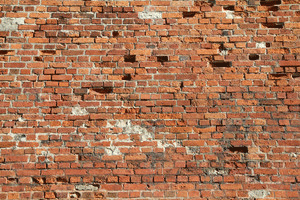 Spalling generally occurs after other signs of brick damage go ignored for a significant period of time. It takes serious damage to cause bricks to fall out of place like this. In most cases, the mortar requires replacement (repointing) long before bricks shift out of place. In order to conduct successful masonry restorations on this type of issue you must find and address the original source of the problem. If it’s water damage, say for instance caused by a leak in the roof, the source of moisture getting inside brickwork must be identified and stopped. Otherwise, problems will simply repeat until the structure is beyond repair. Historical buildings must be restored with extra attention to detail to preserve their naturally rich history. As a result, there are additional limitations to restoring historical buildings. Not necessarily in terms of what you can and cannot fix, but in regards to how much you can change about the building. For instance, any defining architectural work or historically significant aspects of the building must be carefully replicated. Also, any salvageable materials should be used to keep the original building as much in tact as possible. The key to getting the most out of Toronto masonry restorations is to find the right team of qualified, experienced and reliable masonry professionals. Turnbull Masonry continues to provide all that and more since 2003!